Crafted in Egypt, these exquisitely soft 100% certified long staple Egyptian cotton, 300 thread count sheet sets offer the ideal blend of comfort and durability. A tailored double needle treatment adds the finishing touch of sophistication and classic style. They are dyed and finished by processes that are safe for humans and the environment alike. Beautiful, green, and durable, every piece is also machine washable and dryer safe. The sets include one fitted and one flat sheet, and two pillow cases. 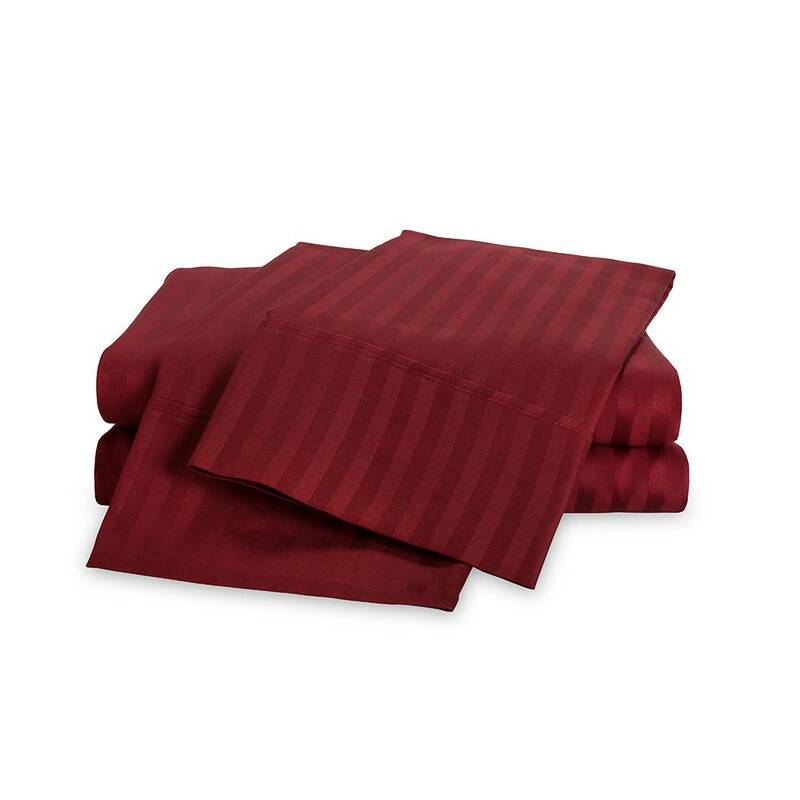 Fitted sheets are complete with full elastic edging and fit an up to 15" deep mattress. An earth-friendly set of 300 thread count 100% certified long staple Egyptian Cotton sheets Made in Egypt Queen Set - Flat Sheet 90" x 102", Fitted Sheet 60" x 80" (14" Deep Pocket), 2 Pillow Cases 20" x 32"